Hide and Seek Top https://www.review-australia.com/global/hide-and-seek-top/RE19TK018.REGRN008.html Find your fresh work to weekend style in the stunning Hide and Seek Top. 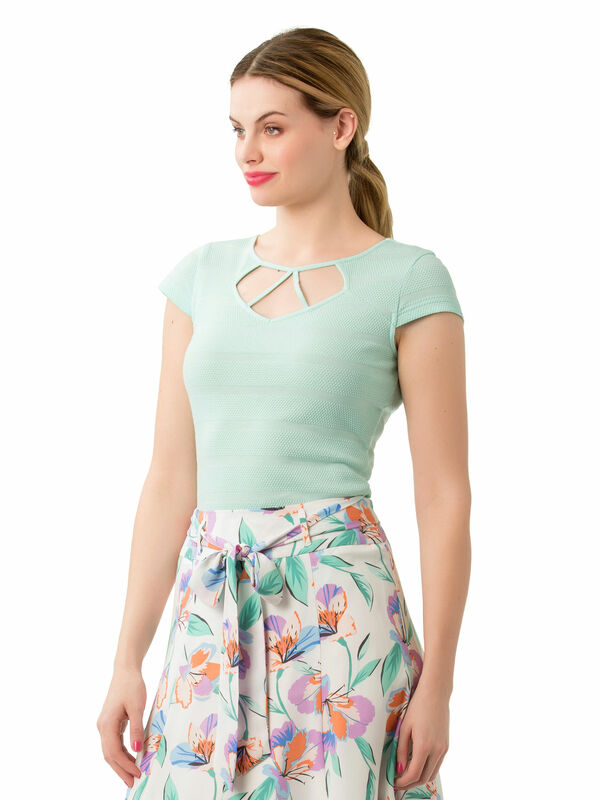 In a soft waffle textured fabric, this top seamlessly blends ladylike detail with clean lines. 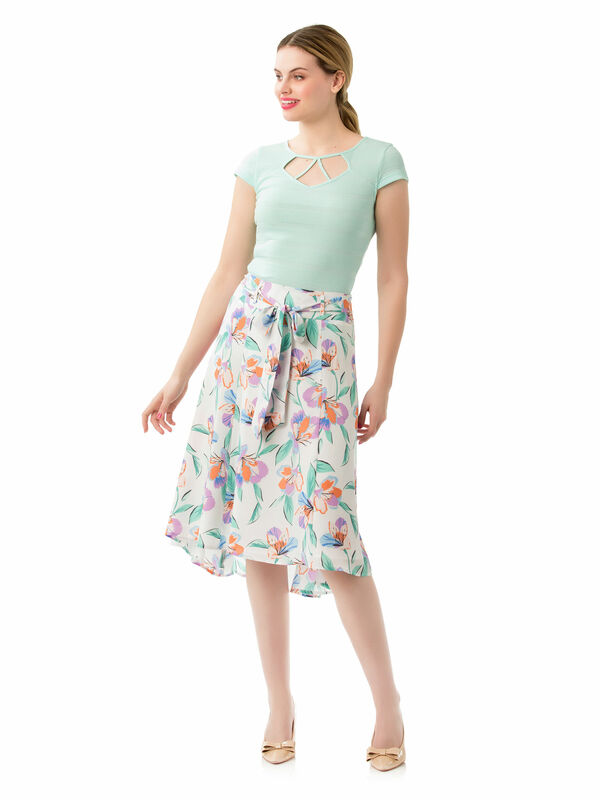 The cap sleeve top is fitted throughout and features a modern art deco cut-out with binding at the neckline. Worn with Paradise Floral Skirt and Minnie Heels. Find your fresh work to weekend style in the stunning Hide and Seek Top. In a soft waffle textured fabric, this top seamlessly blends ladylike detail with clean lines. 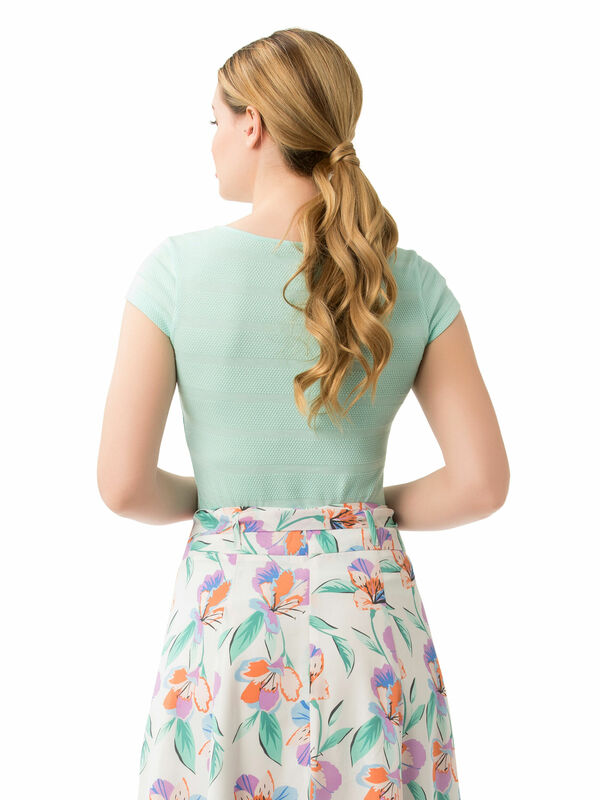 The cap sleeve top is fitted throughout and features a modern art deco cut-out with binding at the neckline.